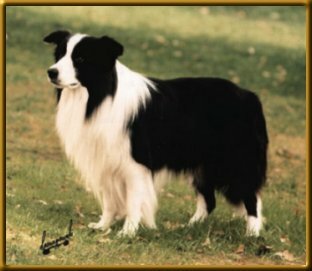 Ones first impression of a Border Collie should be a recognizable hallmark that separates them from other breeds of dogs. We breed for combinations of the best traits inherited from sire and dam as well as each individuals own unique qualities.We strive for Type, Conformation, Substance, Movement, Quality and Temperament. To produce happy and healthy friends and companions that can also compete in a variety of activities like conformation, obedience, agility, and herding just to name a few. Enjoy your visit through the rest of our pages. And let us hear from you.